No parents are ever really prepared for a child who is disabled by a birth injury. Finding out that your new baby was injured during childbirth and may be permanently disabled is not something for which you plan. If you suspect that your child's birth injury may have been the result of a mistake by the doctors you will need to make a decision about whether to pursue legal action. Below are a number of frequently asked questions about birth injury lawsuits. Birth defects are conditions that your baby inherits through genetics. A birth injury is a condition that is caused by something which happens during labor and delivery that causes trauma to the baby. From a birth injury litigation standpoint, you cannot sue for birth defects. But you often can sue for birth injuries during pregnancy or during labor and delivery. How do I Know if my Baby's Birth Injury was Caused by Medical Negligence? This can often be a difficult question to answer. Don't expect the doctors or hospital staff to come forward and say "sorry, but we made a mistake and may have injured you baby during delivery." That is very rarely going to happen. In fact, sometimes you might take your baby home from the hospital without even realizing that an injury occurred during delivery. It might take weeks or months before the signs of the injury and resulting condition become apparent. In any event, once you know for sure that your baby was injured during delivery you still probably won't be sure if the doctors or staff are at fault. The reality is that in most cases you will need to take the first step towards a birth injury lawsuit before you actually know for sure if medical negligence occurred. If you reasonably suspect that the doctors made a mistake or were negligent in anyway, you should probably go ahead and consult with a birth injury attorney. A birth injury lawyer can investigate your case and help determine whether medical negligence may have occurred. The consultation won't cost you anything one way or the other. How Long can I Wait Before Deciding to Take Legal Action for a Birth Injury? Once you suspect that you child's birth injury may have been caused by medical negligence, the clock starts running on your deadline to file a lawsuit. Every state has a statute of limitations which requires lawsuits for birth injuries (and other malpractice cases) to be filed within a certain time frame. In most states, the limitation period for filing medical malpractice cases is either 2 years or 3 years. The period typically starts to run when you know or should reasonably know that you may have a claim for malpractice that would trigger further investigation. Most typically, this is the date the child is born. The exact date when the statute of limitations period begins can be a complex legal issue so you should consult with an attorney before making any assumptions. If you don't file you medical malpractice claim before the limitation period expires, you will be legally barred from filing it. You may have been told or heard that you have additional time to file on behalf of a minor. But the parents also have claims in birth injury cases and their statute of limitations may be much shorter. What is the First Step in a Birth Injury Lawsuit? If you are seriously thinking about a birth injury lawsuit, your first step in that process should always be a consultation with a birth injury attorney. An experienced birth injury attorney can tell you whether or not you might have a valid case. Then your attorney can collect and review all of the required medical records and send them out to an expert witness (another doctor) for a formal opinion. How Long do Birth Injury Lawsuits Take? Not surprisingly, there is no universal answer to this question because it all depends on the circumstances of your individual case and how things play out. Some cases might settle very quickly, before a lawsuit is even filed. The time frame for these type of quick settlement cases can be as short as 4-8 months. If your case does not settle right away your birth injury lawyers will file a lawsuit in court. Once a case gets to that point it probably will not settle until after the process of pre-trial discovery. Depending on the complexity of the case the discovery phase can last anywhere from 6 months to over a year. If the case actually goes to trial it could easily take another year before the trial gets scheduled and completed. What are the Most Common Types of Birth Injury Malpractice? Medical malpractice resulting in a birth injury can occur in an endless number of ways or circumstances. Malpractice can result from any type of mistake, poor judgment, lack of diligence or professional skills, etc. However, there are specific types or categories of medical malpractice in the labor and delivery room that commonly result in birth injury. 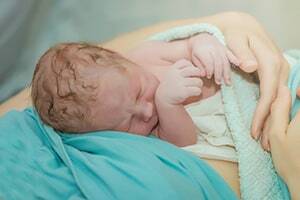 C-Section Malpractice: When complications arise during vaginal delivery, performing a timely emergency C-section is often necessary to avoid injury to the baby. Unreasonably delay in failing to perform a C-section is the most common type of medical negligence in birth injury cases. Forceps Malpractice: Obstetrical forceps are a tool doctors sometimes use to grip a baby's head and maneuver them through the birth canal. Use of forceps requires a high level of skill and a mistake can easily injury the baby which leads to numerous birth injury cases. Failure to Monitor: Failure to properly use or watch fetal monitoring devices to identify signs of distress gives rise a number of birth injury cases. Vacuum Extractor Malpractice: A vacuum extractor is another device doctors use to grip a baby and move them through the birth canal. Excessive force or overuse of the vacuum extractor causes a number of avoidable birth injuries. How Much Money can You Get in a Birth Injury Case? If you are considering a birth injury lawsuit, it is only natural to consider how much money you could potentially expect to get if you succeed. This is your child and your family's one chance to be compensated for the harm that has been done. It is impossible to accurately predict or estimate exactly how much your case might be worth. But the largest verdicts in medical malpractice cases are birth injury cases. The value of these cases can go north of $50 million in some cases. You can look at sample verdicts and settlements in specific types of birth injury cases to get some information on how successful case can resolve. If you are considering a birth injury lawsuit you need to consult with an experienced attorney. The lawyers at Miller & Zois have delivered meaningful results to clients in hundreds of birth injury cases. Call us today at 800-553-8082 or get an online case evaluation.